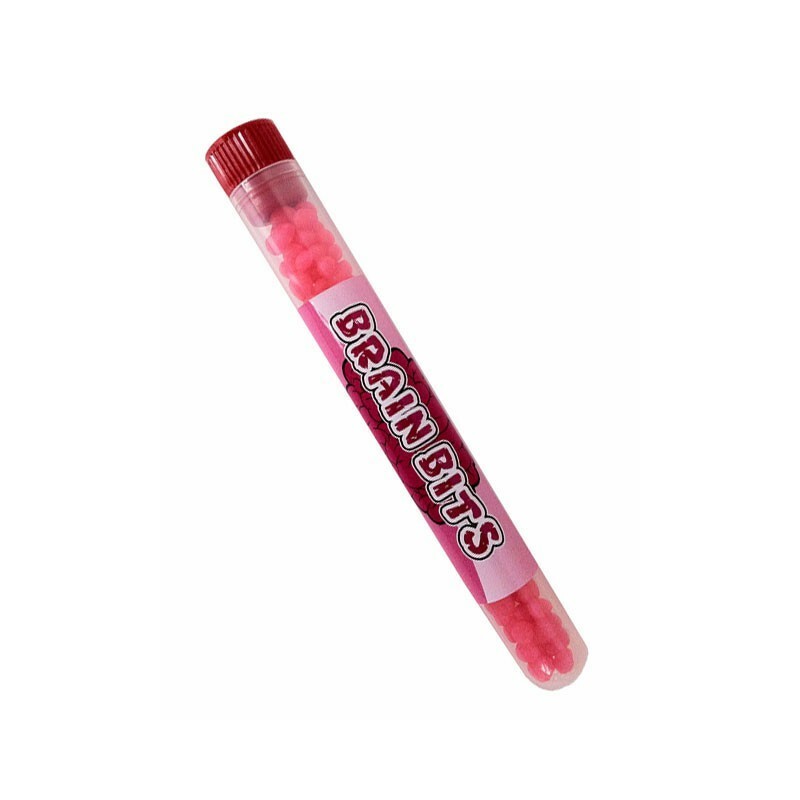 Watermelon flavored bits of brain in a nifty test tube with 50 mg of caffeine. 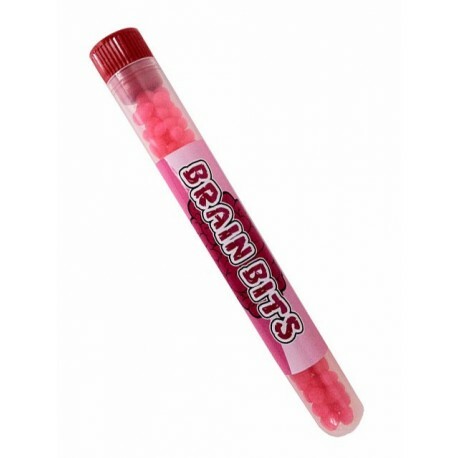 What kind of quality ingredients go into Brain Bits? You get a little bit of frontal lobe, some cerebellum, a pinch of basal ganglia, and a generous portion of hypothalamus. Will Brain Bits make you smarter? No, but they sure taste great and the nice energy boost will keep you going a little longer.